Another outstanding son of Carlo and Ellie,Bobby is shown with handler Cindy Fortin of Four Tens kennel and Judge Karen Clausing. On this day he was Winners Male and Award of Merit at the Pacific Northwest MPC following the National Specialty. 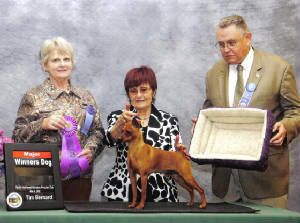 Bobby is a Toy Specialty Best of Breed winner. 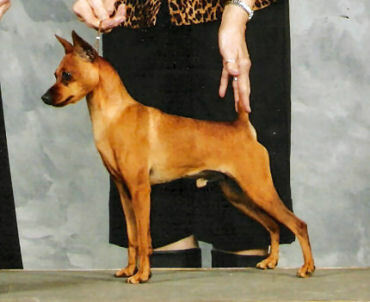 He has Multiple Best of Breed Wins in the United States. In Canada this multiple Group Placer has been ranked in the top 10. 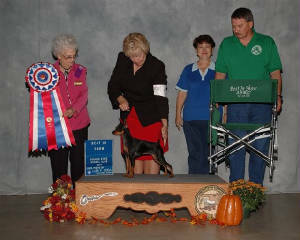 Bobby is an amazing dog,he finished his title with 2 x BOW. He is currently working on his rally o novice and level three agility.